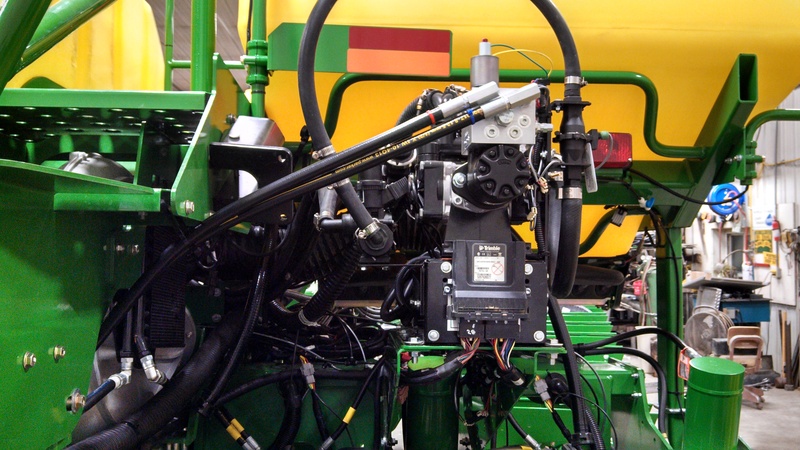 AgXcel builds many different custom systems to fit all customer requirements. 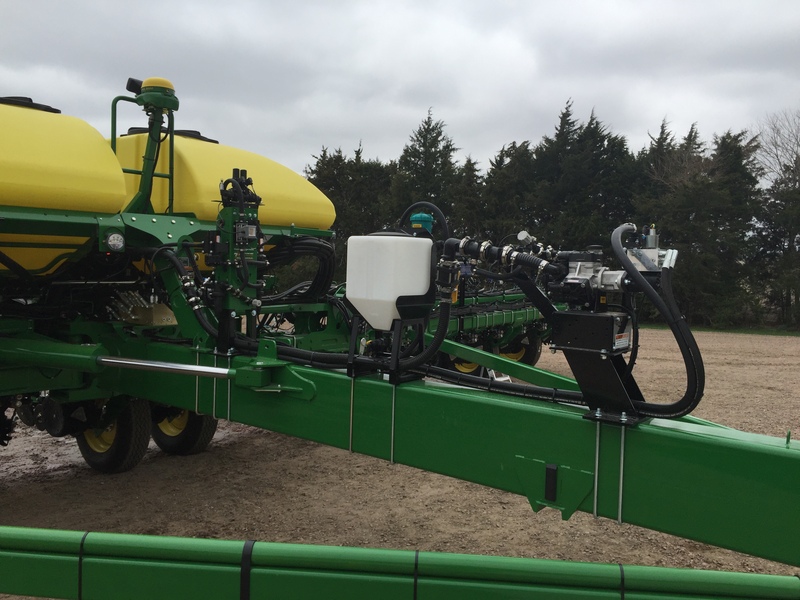 This install was for a test plot planter for Monsanto. 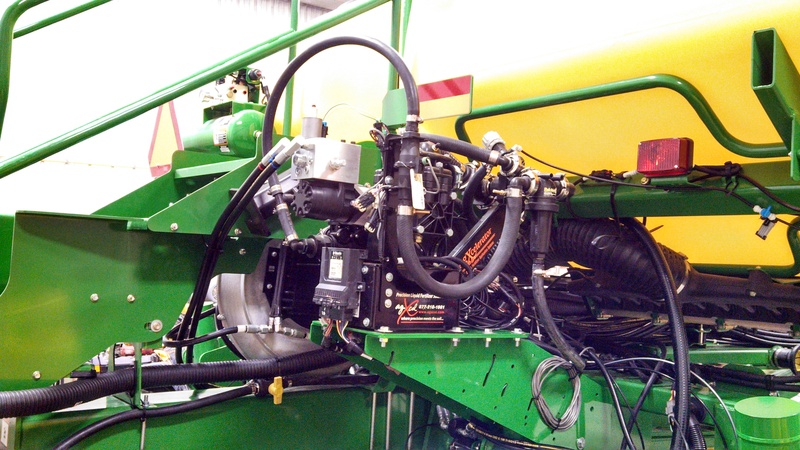 It utilizes the AgXcel GX2 dual product system, AgXcel Mag Meter and custom manifold and pump for lower volume rates. 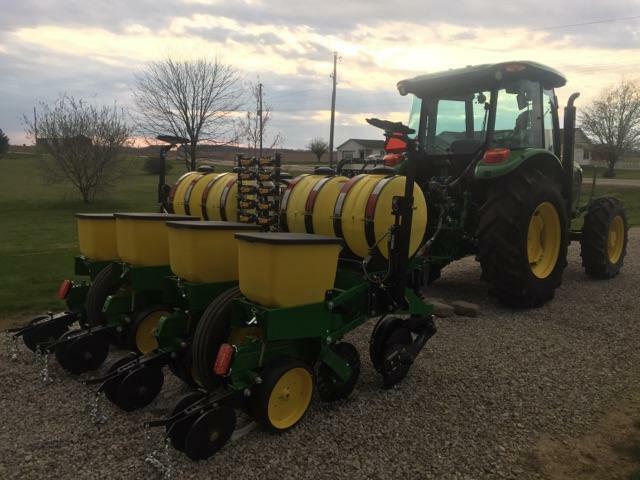 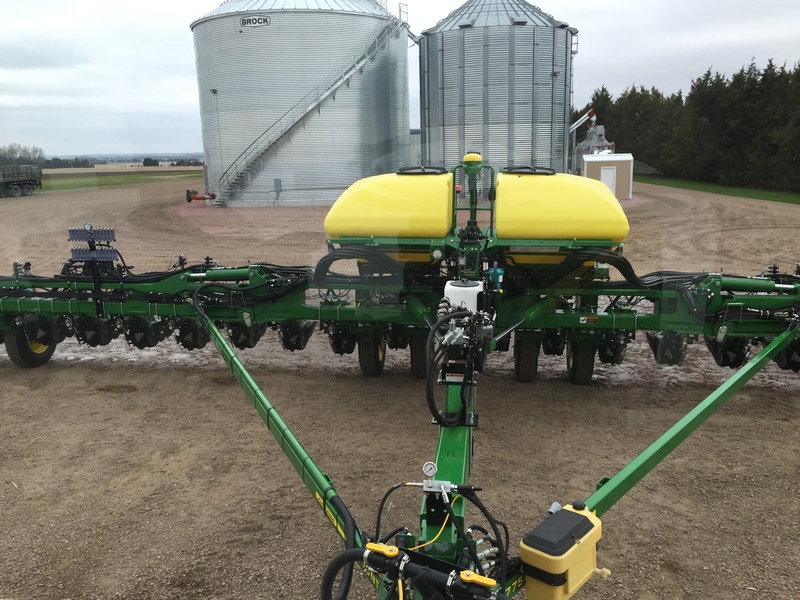 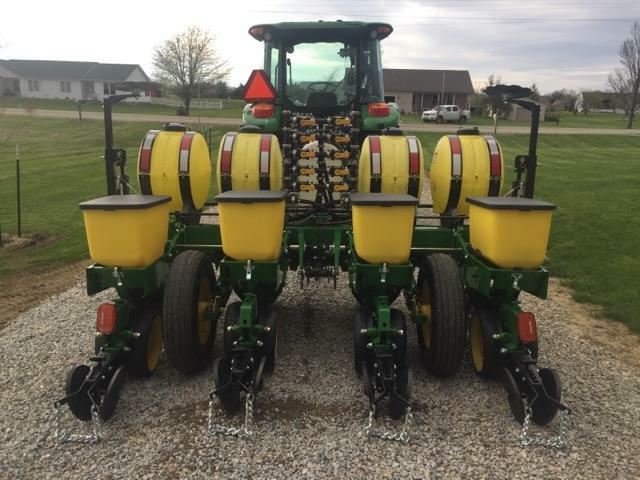 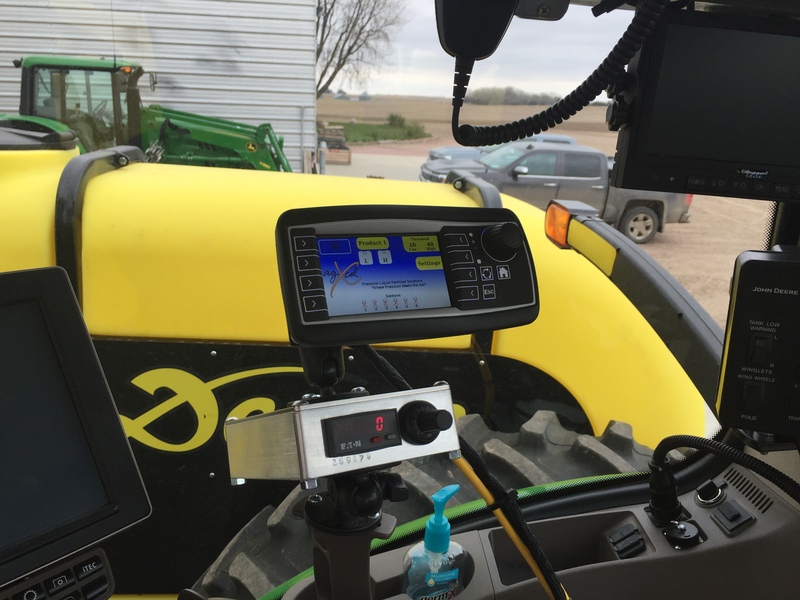 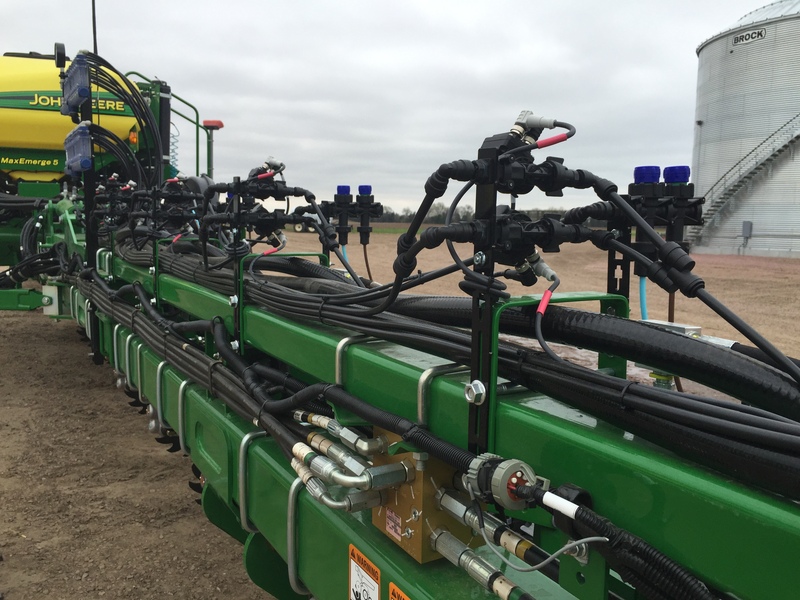 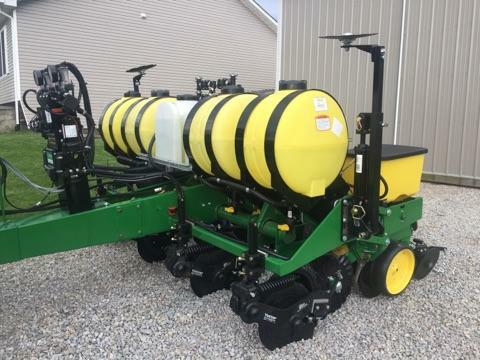 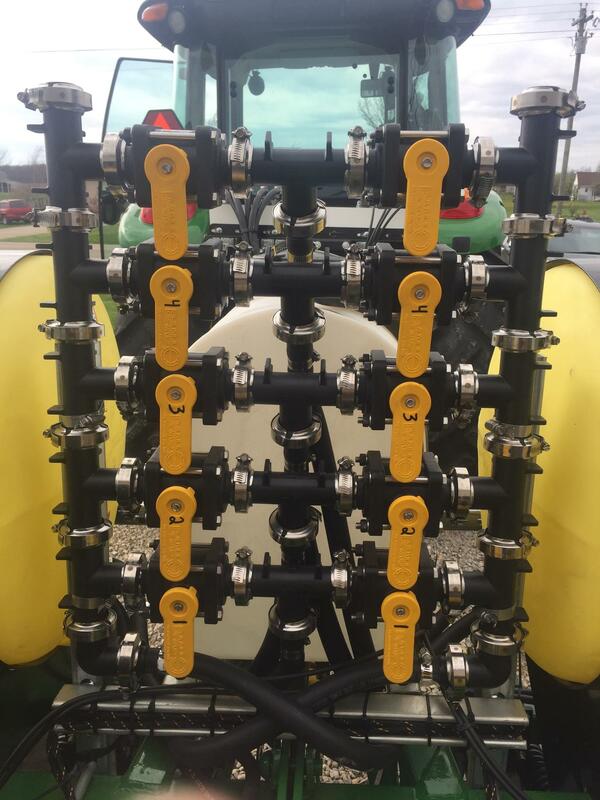 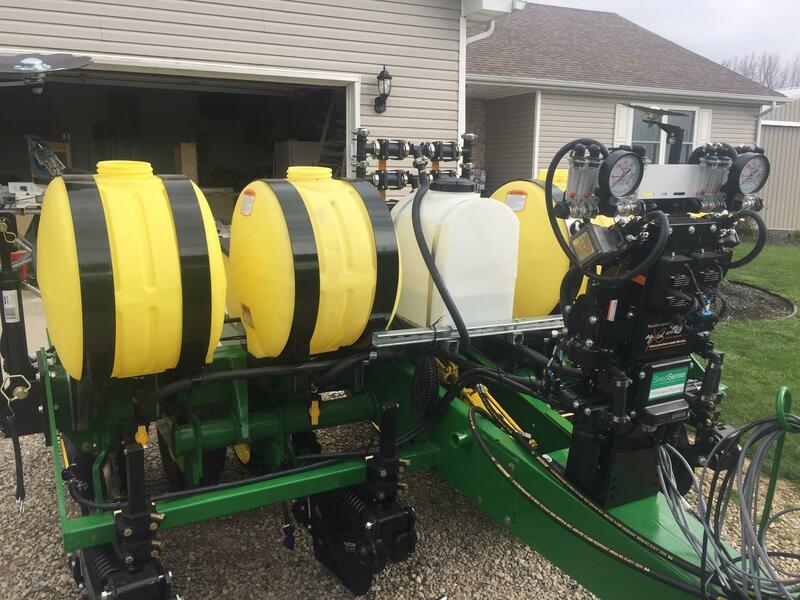 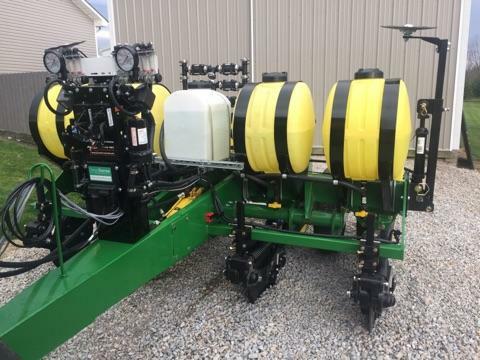 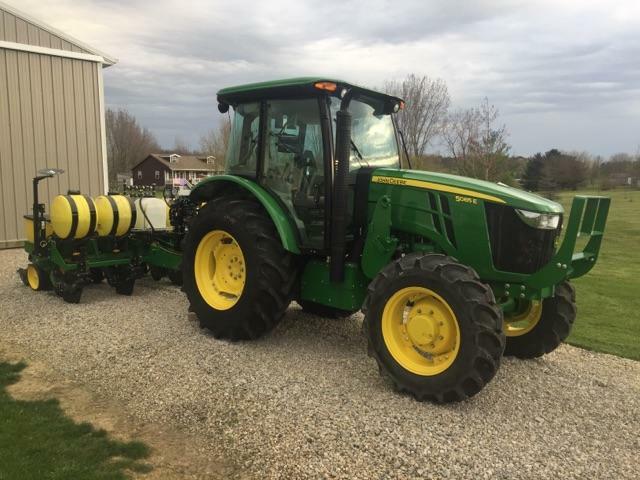 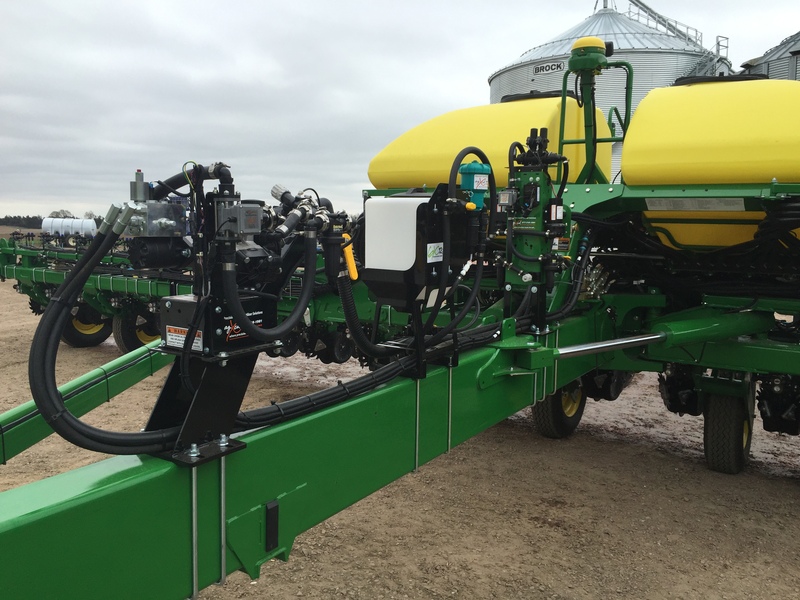 This Install utilizes the AgXcel GX2 for in furrow fertilizer application, GX5 Hyd system 2x2 application of 28%, GX30i VRT to vary the rate of the 2x2 applicaiton with a rate of 10-40 GPA, and the GX12i to inject an insecticide into the in furrow stream at 12 oz per acre. 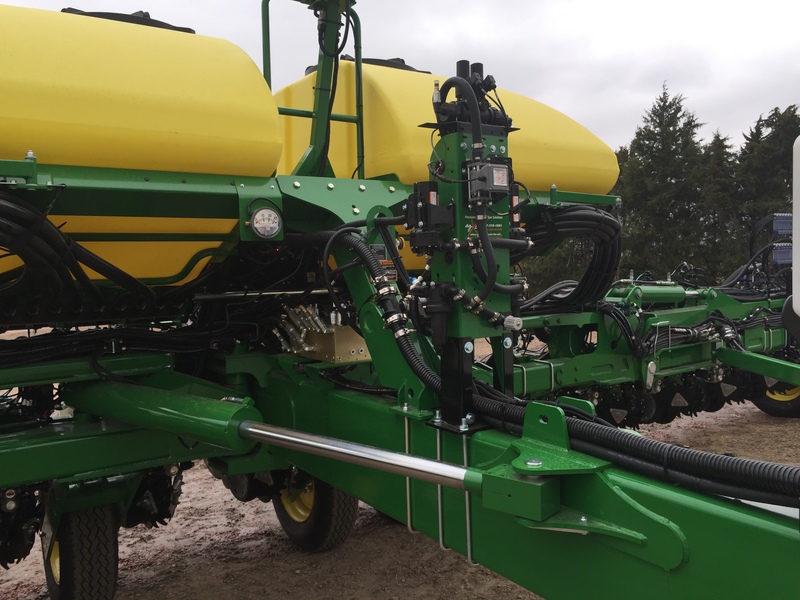 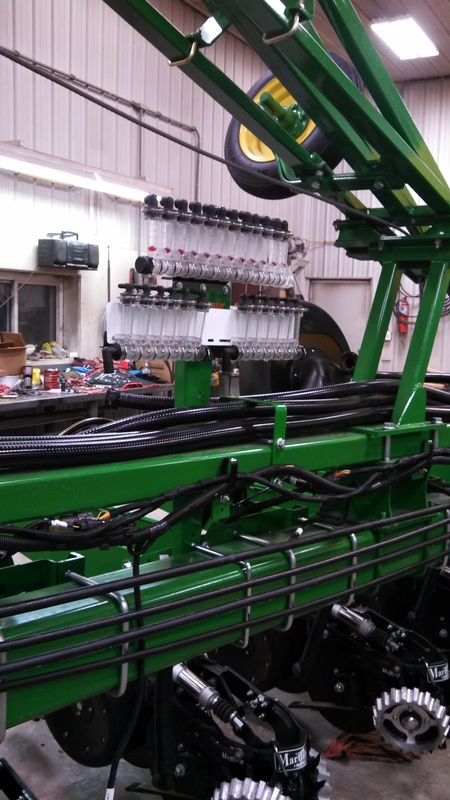 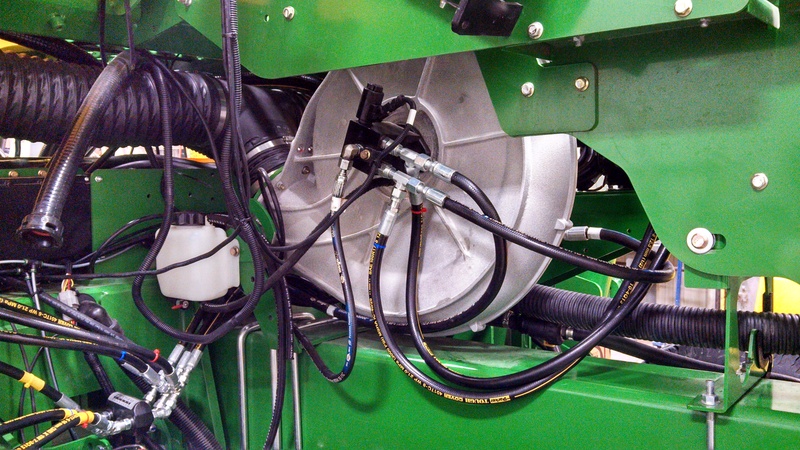 On this install the AgXcel GX5 is mounted on the back of the planter with an AgXcel mounting bracket and the hydraulic lines are "Teed" into the planter blower motor.